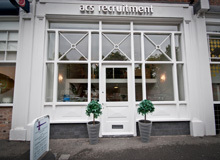 We are currently recruiting for a Personal Injury Solicitor for my client in Chester. Carry out such additional duties as required by the Department Head. You will have experience within Personal Injury and MOJ Portal. You will be fully confident managing litigated files, a proactive negotiator and be able to hit the ground running from day one. Hold a Law Degree/ Legal qualification. Working within a Motor Claims /Credit Hire environment is desirable not essential.